This is an excellent original non-excavated version of one of the rarest of all Civil War era buttons. This is the version listed by Albert as VG2 and in Tice’s button book he lists it as VG215. This is the style that was worn by the Voltigeur branch of service. This organization was developed for the Mexican War for Special Forces type fighting in mountain warfare. The word Voltigeur is based on a French word that roughly translates "to leap or tumble.” This one is in superb shape and has the clear face with the eagle and in the shield it has the bold letter "V” clearly visible. 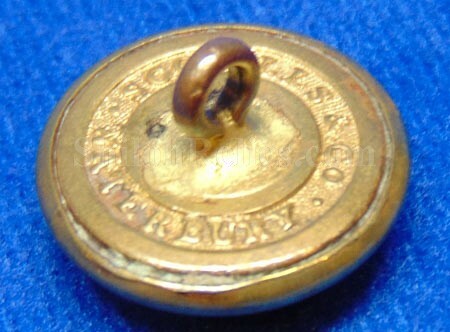 As it mentions in Tice’s book, even though this button was made for the Mexican War there were old tales of them being used by Virginia forces during the Civil War when they were using old supply stores. 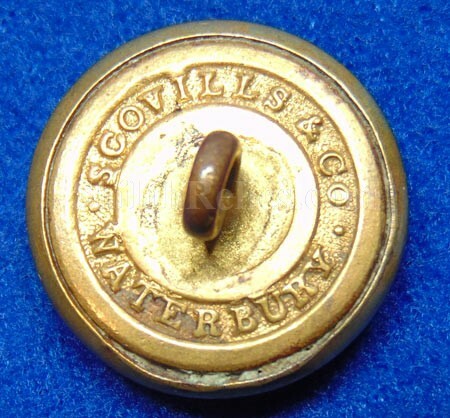 On the back of the button it has the clear Scovill maker mark still visible. The shank is present and stands straight up. 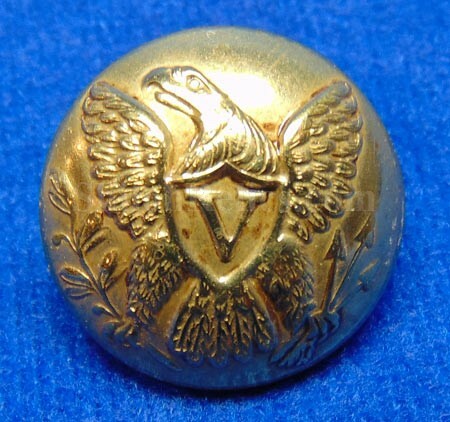 This is your chance to own a beautiful original coat size eagle "V” uniform button.